Your business is your lifeblood and no matter what industry you’re in, your print projects are important. 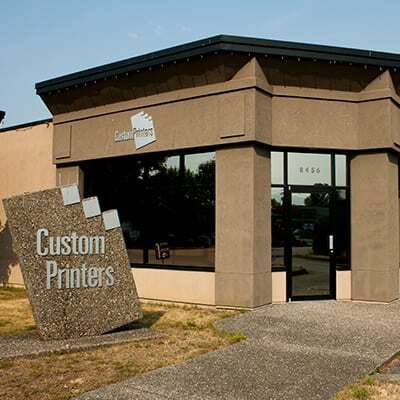 Fraser Valley Custom Printers is your one-stop partner for all things printing. For over 40 years our team has combined exceptional print quality with an insatiable commitment to environmental sustainability. We have state-of-the-art technology that not only delivers beautiful, vivid print materials, but also environmental peace of mind. There are lots of print shops out there, but when you’re seeking a quality printing company in the Lower Mainland, you want someone who will ensure crisp, clean, flawless printing that is always on time and on budget. Call us at 604-792-9184 for a quote or simply to inquire about our services. Not local? No Problem. We provide high quality printing services for customers far and wide. Call us toll free at 1-877-325-3131. Fraser Valley Custom Printers offers high quality Screen Printing at extremely competitive prices. We are experienced at printing onto T-shirts, sweatshirts, jackets, uniforms, bags and much, much more. 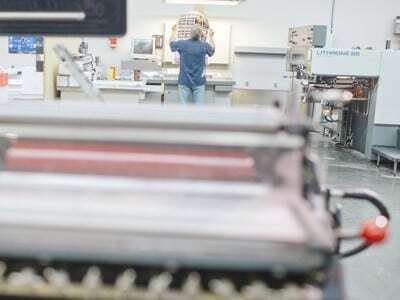 At Custom Printers we believe that to produce a quality product, you need to have quality equipment. The only way to match or exceed the expectations of our customers is to have professional staff and great equipment. We have worked hard to acquire and upgrade all printing machinery to create the best possible product without having to leave our plant. We believe that if quality and service is what we are selling, then it is our responsibility to ensure that we have as much control on the final product as we can. We are here to answer any questions you may have about our printing services. Reach out to us and we’ll respond as soon as we can. Clients enjoy our depth of experience, our breadth of capabilities and our lack of surprises! Our experienced staff is fully committed to earning your satisfaction, no matter what the job is.